Pesarattu is a very classic and tasty dish from Andhra Pradesh. Andhra pesarattu and MLA pesarattu are both famous breakfast dish. 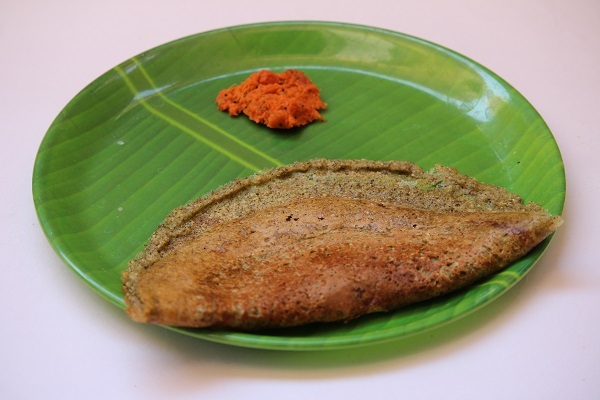 Pesarattu is a very healthy protein packed breakfast dish made from green gram. 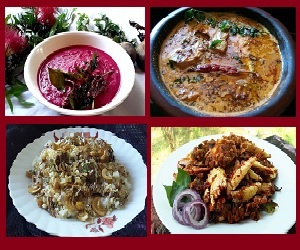 It is usually served with ginger pachadi or allam pachadi. Both together it is a wonderful combination. But sometimes, when I don’t get time, I prepare coconut chutney and today, I didn’t have coconut with me, so made this onion tomato chutney to go along with pesarattu. Now to the recipe..
1. 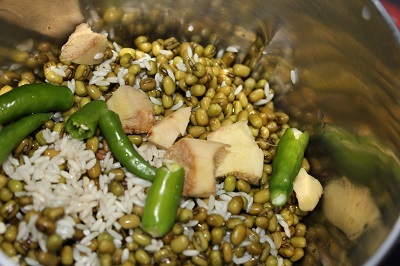 Soak moong dal and rice overnight and rinse 3 – 4 times in water. 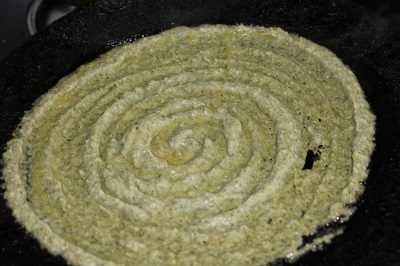 Next morning, grind with green chilly, ginger, to smooth paste using little water to get dosa batter consistency. Mix salt, keep it aside. 2. Meanwhile roast cumin seeds slightly and crush it. Finely chop green chililes and onion. Then mix chopped onion, green chilly and roasted cumin. Keep aside. 4. Pour oil / ghee around the edges, cover and cook for 1 – 2 min in medium flame.Open and check once. 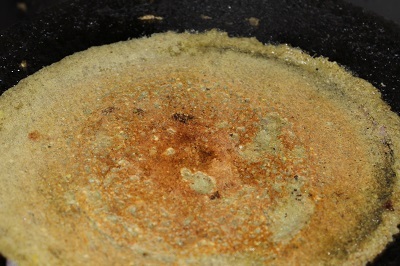 If dosa is not cooked, cover and cook again for few more minutes. 5. 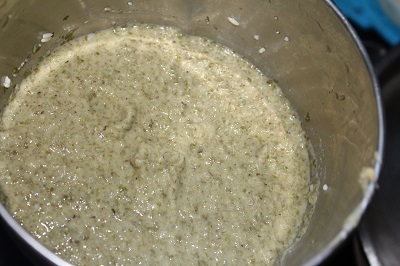 Sprinkle 1 tablespoon of onion mix in the center and press it nicely. Lip it to the other side. 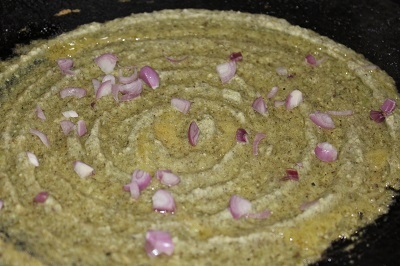 Apply ghee or oil on top and cook for 30 second to make pesarattu more crispy. 6. 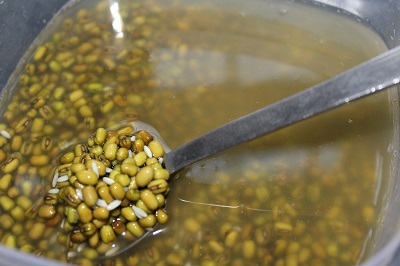 Serve hot with pachadi or coconut chutney. Note: Before pouring batter, if the tawa is very hot, sprinkle little water on the tawa, wait till it evaporates and then pour the batter.